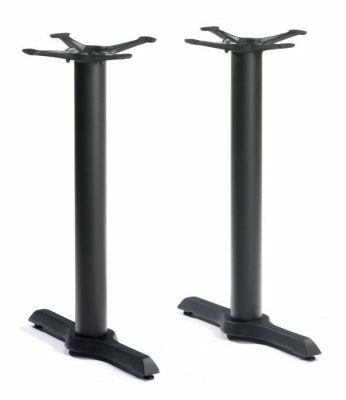 Bermuda twin pedestal bases for use with rectangular tables up to a maxium size of 1200mm x 750mm rectangular. Durable Black powder coated finish. Delivered from stock in 2-3 days. High quality range of twin table bases, attractive contrasting black cast iron powder coat finish. Released from stock within 3-5 working days from order.